This insect can recognize human faces. It can outsmart supercomputers in solving complex mathematical problems. When it’s ill, it self-medicates. It communicates through whole-body sign language that involves dance and orientation to both the sun and the insect’s home. It can even sniff out explosives from kilometres away. And while it’s doing all that, this insect helps to feed most of the world’s human population. This smart little worker, the bee, is disappearing. 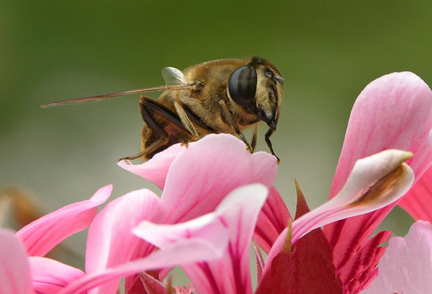 The mysterious collapses of honey-bee colonies first documented eight years ago continue. The declines affect not only the familiar, beloved honey bee, but wild bee species, too.